Prolonged exposure to the sun can leave our skin susceptible to various health conditions, and not just during the summer months, but year round. To help people manage UV exposure, Netatmo has helped develop the first wristband, June Bracelet, that lets beach goers know when they have reached their sun exposure limit and where they need to apply more sunscreen or cover-up. "Women are conscious of the need to use sun protection on vacation and sunny days, but there is a lack of awareness to protect oneself in everyday life," a representative from Netatmo told Mashable. "The sun rays can be strong and cause sun damage even on overcast days. This product is meant to help women know when and how to protect their skin every day from sun damage." 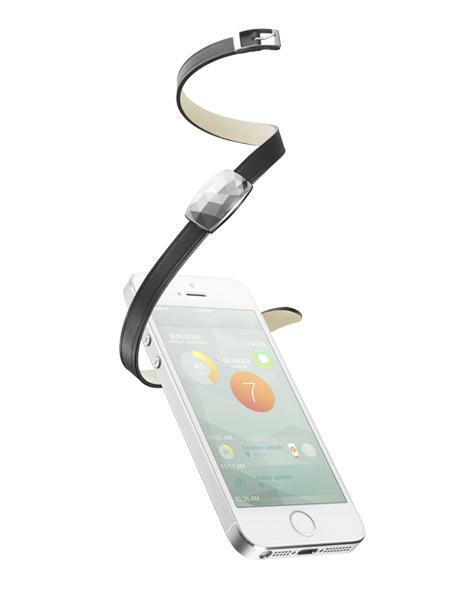 Netatmo’s June Bracelet features diamond-like sensors that attract UV rays and measure the sun’s intensity. These sensors relay the information to an app that can be downloaded on either an iPhone or Android. Crafted by French jewelry designer Camille Toupet, who has worked alongside fellow designers including Louis Vuitton and Harry Winston, the June Bracelet promises just as much style as function. According to the World Health Organization, between two and three million non-melanoma skin cancers are diagnosed each year but are rarely considered fatal. An estimated 130,000 malignant melanomas are annually reported, contributing to 66,000 skin cancer deaths each year. Another 12 to 15 million people go blind due to cataracts, which are caused by prolonged sun exposure 20 percent of the time. Netatmo expects to make the June Bracelet available to the public by this upcoming spring for upward of $100. Shoppers can choose between three different colors including gold, platinum, and gunmetal. It was featured at the 2014 International Consumer Electronics Show (CES) in Las Vegas this week.